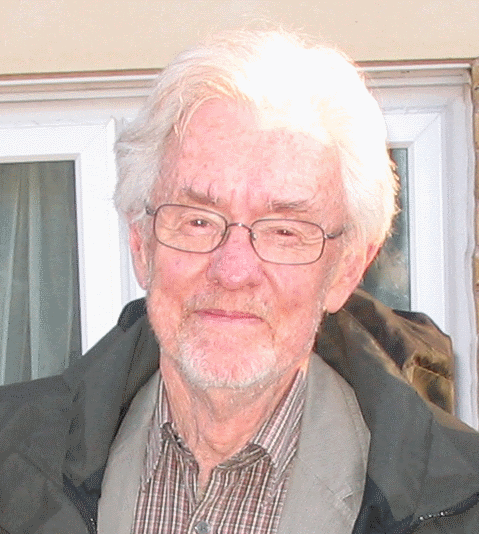 Harry Atkinson in 2012 (courtesy William Tobin). Harry Atkinson was one of those able New Zealanders who went overseas to study, fully intending to return one day to these shores to live, but due to their great success in their adopted homelands never did so. A physicist by training, he moved into science advice and administration in Britain and rose to considerable heights both within the UK Government and also international organisations such as the European Space Agency. Dr Harry Hindmarsh Atkinson (HHA) was born in Wellington and came from a prominent NZ family, his paternal grandfather being Harry Albert Atkinson (HAA), four-time Prime Minister between 1876 and 1891. The Atkinsons were related by marriage to the Richmond family (see also here), who were also active in politics. HAA had three children by his second wife, the youngest being HHA’s father Harry Temple Atkinson (HTA), who became a lawyer and then head of the NZ Patent Office. HHA’s mother was HTA’s second wife, the former Constance Hindmarsh Shields, hence the middle name. HHA (hereafter simply ‘Harry’) recalled that his initial interest in science was spurred by meeting various inventors who were applying for patents. When he was about 12 his father retired, and the family removed to Nelson. There his great-uncle Arthur Samuel Atkinson (ASA, HAA’s brother and another politician) had built a large home, Fairfield House, between 1872 and 1883. Although Arthur was a lawyer by profession, he was an astronomy enthusiast, and the building was equipped with a tower to house his telescopes. Fairfield House remained in the Atkinson family for fifty years, until in 1922 it became a prep school for the nascent Nelson College for Girls; after 1930 and until 1964 it was used as Fell House by Nelson (Boys’) College, as it was when Harry arrived in the city in 1941/42. After falling into disrepair Fairfield House was saved and revived by local people and is now used for musical and other cultural events. Harry attended Nelson College himself, and said that someone who was particularly important in encouraging him into science was Sir Thomas Hill Easterfield, a Cambridge University graduate who had been appointed in 1899 as foundation chair of chemistry and physics at what was to become the Victoria University of Wellington, and in 1919 became the initial director of the Cawthron Institute in Nelson, retiring in 1933. Apparently Easterfield lived only half a kilometre from Harry, urged him to set up his own small chemical laboratory in the family wash-house, and gave him a variety of books and instruments. Following this, realising that NZ was a small place, Harry decided to go overseas for a while, and in 1954 arrived in upstate New York at Cornell University – one of the top physics institutions globally – to work as a research assistant. He stayed only 18 months because he thought that the usual term for undertaking a PhD in the United States, upwards of five years, was too long. Writing back to his parents in Nelson, Harry’s father suggested that rather than return to NZ he might have a shot at studying in England. Aiming high he wrote to Neville Mott, who had recently been appointed Cavendish Professor of Physics at the University of Cambridge, a chair held previously by another famous son of New Zealand (and Nelson), Ernest Rutherford. Perhaps in part due to the NZ link, Mott quickly wrote back inviting Harry to come to Cambridge, offering him a small scholarship. A problem in aeronautical engineering at the time was the way in which alloys broke as they became fatigued through multiple take-off/landing cycles of jetliners. One way of investigating how the metal’s crystal structure was changing was through neutron scattering, which required a certain type of nuclear reactor source. One of these was at the Atomic Energy Research Establishment at Harwell, south of Oxford, and Harry conducted experiments for his PhD there, submitting his thesis in 1959. By that time he had been offered an ongoing research fellowship at Harwell, where he worked initially on the controlled nuclear fusion programme. This, if it could be achieved, was touted as a cheap source of almost-unlimited energy. It still is: sixty years later, controlled fusion (as opposed to the uncontrolled fusion in a hydrogen bomb) is yet to be demonstrated. Recognising the difficulties, within a couple of years Harry moved on to other topics, and shifted to the adjacent Rutherford Laboratory (named, yes, for the famous NZ physicist). He remained there for the next seven years as Head of the General Physics Group. In 1968 he agreed to secondment to the staff of the UK’s Chief Scientific Adviser in London and from the following year was working in the Cabinet Office, this necessitating his old friends and colleagues in New Zealand being interviewed (as Harry put it) “by mackintoshed chaps” so as to ensure he had no suspect politics or background. The building in which he worked backed onto 10 Downing Street. His next few years in Whitehall involved a wide range of subjects, providing advice on topics ranging from the supersonic Concorde aircraft through to environmental matters. In one report, which might resonate with many New Zealanders at present, Harry wrote that that the countryside was being “destroyed” by farmers ripping out hedgerows; the Ministry of Agriculture insisted that instead it should say that the landscape was being “modified”. Several of the reports and recommendations that came from Harry’s pen were highly influential. Harry left the Cabinet Office in 1972, and was offered the position of head of one of the three divisions of the Science Research Council: Engineering, Science (which implied small-scale science), or Astronomy and Space (meaning big science). He claimed that he chose the latter for “frivolous reasons” – it simply sounded good. Under his stewardship the UK entered a phase of considerable development in astronomical and space research. Already in partnership with Australia through the Anglo-Australian Observatory in New South Wales, Britain built and installed major optical telescopes in the Canary Islands, and Hawaii. Radio telescopes near Manchester and Cambridge were expanded. Starting in the late 1950s the UK had been launching rockets from Woomera in South Australia, and from 1962 through to 1974 the European Launcher Development Organisation (ELDO) took this work forward. Similarly the European Space Research Organisation (ESRO) was constructing payloads for launch. From 1975 ELDO and ESRO joined to form the European Space Agency (ESA), with Harry playing a pivotal role as UK Delegate. From 1981-84 he was Vice-Chairman, and from 1984-87 Chairman, of the ESA Council. During that interval ESA achieved major successes in space exploration, including the encounter by the Giotto spaceprobe with Halley’s Comet in 1986; Harry was present at its launch from French Guiana. From 1979 Harry was Director of Science and International Affairs at the Science (and, now, Engineering) Research Council, involving collaborations globally. He made frequent visits to Washington to organise joint research with NASA, and amongst the things that Harry mentioned as being memorable in his long career was being in attendance at the maiden launch of the Space Shuttle in Florida in April 1981, and then its landing two days later in California. During the 1980s Harry was also involved in the operation and administration of various nuclear physics research institutions in Europe, before semi-retiring in 1990. Thereafter he was involved in a wide range of activities, including being Chief Scientist at the Loss Prevention Council (essentially the science and technology part of the British insurance industry), and making several trips to Hong Kong each year as an adviser to the Universities Grants Committee there. I first met Harry early in the year 2000. I had returned from Australia to work in the UK for a few years, partly to urge the government there to take seriously the threat posed by asteroids. In December 1999 Harry had been asked whether he would chair a UK Government Task Force on Near-Earth Objects (i.e. asteroids and comets that come perilously close to our planet). At first, like most people, he thought this was a joke. Unlike most people, once the known facts were put before him he could appreciate that this was not a laughing matter. There were two other members of the Task Force. One was Professor David Williams, who at the time was the President of the Royal Astronomical Society. The other was Sir Crispin Tickell, a career diplomat who, amongst other postings, was British Ambassador to the United Nations and Permanent Delegate on the UN Security Council from 1987-90. Incidentally, whilst she was Prime Minister Margaret Thatcher credited Tickell with persuading her that climate change was a significant problem, which she then promoted amongst the leaders of other nations, leading to more-recent developments. Acting on advice from myself and several others who had been studying near-Earth objects for some decades, Harry and his team produced an important report. It is not by accident that there are several spacecraft missions currently conducting investigations of asteroids, including a couple of large Earth-approaching bodies. Afterwards, Harry maintained his interest in asteroids. In mid-2001 there was a conference in Palermo, Sicily, to mark the first asteroid having been discovered from there two centuries earlier, and he attended simply to keep up with the latest knowledge. The ‘day out’ in the middle of the conference week involved a long bus trip across the island to visit Mount Etna, and we sat together discussing all manner of things on the way there and back. Harry had a formidable, wide-ranging intellect. In fact, Harry has an asteroid (or minor planet) all of his own. In recognition of his many contributions, in 2006 the International Astronomical Union named (5972) Harryatkinson; this rocky body is about 10 km in size, orbiting the Sun in the main asteroid belt between Mars and Jupiter. The diagram below shows the orbital parameters of this asteroid, along with the naming citation, taken from the NASA Jet Propulsion Laboratory Solar System Dynamics website. Harry had an eponymous website, though there is only one page to be seen there. It shows a photograph of a family group and a telescope at the time of the transit of Venus as seen from Nelson in 1882 (for a copy of this photograph printed in 2012 on the front cover of Southern Stars, the journal of the Royal Astronomical Society of New Zealand, see here), and an account by Harry of the observations and circumstances. Harry was fascinated in particular by the need for precise timings of the event, made feasible by electrical signals received via NZ’s first overseas cable link (from Sydney), which had been completed in 1876 and came ashore at nearby Cable Bay. The transit had been observed by ASA at the request of the Royal Society of London. Historian of astronomy Dr William Tobin (formerly of the University of Canterbury but now living in France) in recent years had extensive discussions with Harry about the family’s astronomical background, which is also evidenced in other photographs held by the Nelson Provincial Museum. Tobin has collected together several NZ transit of Venus photographs here. An Atkinson family group photo with numerous telescopes is available here, but it is unclear whether this was at the time of the transit of Venus in 1882, or the total solar eclipse in 1885. The largest of ASA’s telescopes – made by Thomas Cooke of York in 1879, known as the Atkinson Telescope, and imported to photograph the 1885 solar eclipse – was until the past year or so used for public viewing nights at the Cawthron Atkinson Observatory near Nelson. Its utilisation and removals over the decades were discussed in an extensive article in the Nelson Evening Mail in March 1977. The 140-year-old Atkinson Telescope was recently replaced by the Nelson Science Society with a more modern device, and awaits permanent display at the Cawthron Institute. This long-term connection of the Atkinson name with astronomy seems highly appropriate given Harry’s career in the UK. Harry lived for many years at Bampton (just west of Oxford), and also had a holiday home in the south of France. He and Anne, his wife of sixty years, had one daughter (Katherine), and two sons (David and Benedict). Never forgetting his NZ origins, in his last email message to me Harry wrote that he was envious of my being in Nelson. His final couple of years were blighted by dementia but Anne, in later messages, said that Harry often reminisced about New Zealand. ESA’s online Oral History of Europe in Space contains an extensive interview with Harry, including memories of his early years here. m Anne Judith Barrett, 1958, 2s 1d; d England, December 30, 2018, aged 89. Addendum (28 January): This photograph is confirmed by Anne Atkinson to be of Harry (aged 15), wearing his Nelson College tie. Addendum (5 February): An obituary of Harry Atkinson that is largely a cut-down version of the above has been published today in the Dominion Post, The Press, and various regional newspapers.